Obituary for Raymond E. Venema, Sr. | Spitler Funeral Home, Inc.
Raymond E. Venema, Sr., 94, formerly of Route 87 Highway, took his last flight, the best flight, on January 24, 2019, at the Gatehouse, surrounded by his family. He was born October 23, 1924, in Grand Rapids, MI, a son of the late Andrew and Hazel (Licence) Venema. 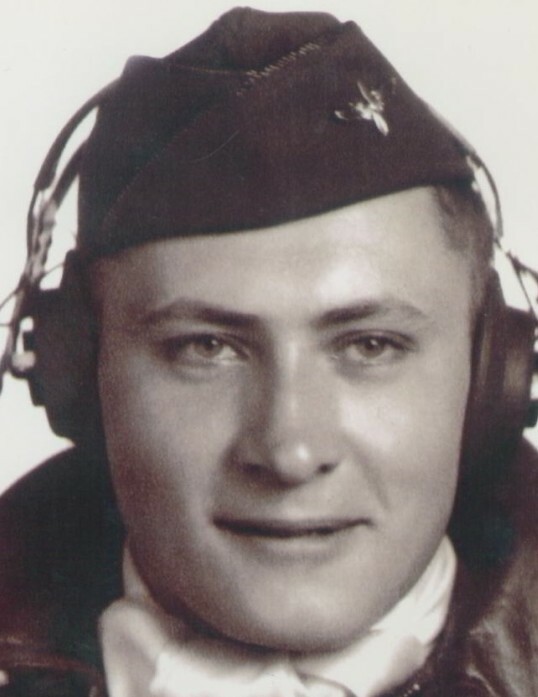 Raymond was a veteran of WWII, having served in the U.S. Army Air Force. He was a member of Warrensville United Methodist Charge for 67 years, and worked for Faxon Lumber for 40 years. He enjoyed hunting, bowling, gardening, and playing racquetball. In addition to his parents, preceding him in death were his wife, the former Marian A. Raker, whom he married August 16, 1947; a son, Raymond E. Venema, Jr.; daughter-in-law, Julia Clark-Venema; a brother, Donald A. Venema; and a sister, Shirley T. Mueller. Surviving are children, Marianne (Jimmie) Lundy, of Warrensville, Suzanne (Lon) Edmonds, of Bloomsburg, Patrick (Rebecca) Venema, of Montoursville, and Norman Venema, of Montoursville; daughter-in-law, Lori Moore-Venema, of Picture Rocks; grandchildren, Krista (Eric) Wise, Ryan (Karen) Lundy, Eric Venema, Janel (Brett) Gordner, Lon, Jr. (Heather) Edmonds, Kevin (Cristina) Edmonds, Daniel (Allison) Edmonds, Cami (Jonathan) Edmonds, Jameson (Stephanie) Venema, Kayla (Zachery) Woods, and Andrew Venema; and great-grandchildren, Mackenzie, Zoe, Bryson, Jayden, Alijah, Raymond, Carter, Willow, Wren, Luke, Ethan, Titus, Blade, Lucian, and Oliver. The family wishes to thank the staff at Williamsport Hospital and the Gatehouse, and also a special thank you to the staff at the Meadows. A funeral service will be held 11 a.m. Thursday, January 31, at Spitler Funeral Home, 733 Broad Street, Montoursville, with Rev. Charles Johnson officiating. Burial will follow in Twin Hills Memorial Park. A viewing for family and friends will be from 10 to 11 a.m. Thursday, at the funeral home. In lieu of flowers, contributions may be made to a charity of one’s choice or American Diabetes Association, 2451 Crystal Drive, Suite 900, Arlington, VA 22202.